Time for some hypnotic trap song! 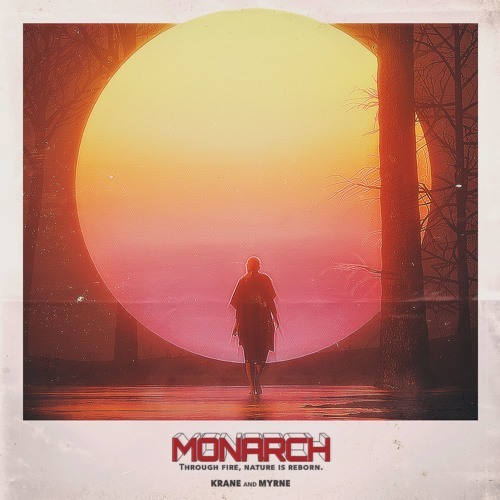 KRANE has joined forces with Singapore-based MYRNE on the awesome track that is Monarch. Combining mystical string leads with emphatic horn breakdowns and lush synths, this song triumphantly merges trap and melodic soundscapes into one cohesive package. Monarch is super groovy and oozes a care-free vibe! Loving that piano! It's the first single off KRANE’s forthcoming album, influenced by dystopian works such as Blade Runner and Akira. Stream it below! [Monarch’s] been tucked away for a minute now. MYRNE and I have gone back and forth on it, road testing it in sets, and trying out different ideas for a while now. This track brings some of our most signature approaches to producing together. I would consider this next series of releases in whole as sort of my looking back to where my sound has come from and where it’s headed. Both Monarch and this album (to me) is an ending of sorts- a last chapter in a series. This will be my last large body of work that adheres closely to the sound I have developed over the last couple of years. In some ways it represents an apex, and sort of saying goodbye to it- to make room for the next evolution of the project. Through the process of putting everything together, I was in somewhat of a nostalgic and dark frame of mind, and I wanted to leverage that mood. I really wanted to reference the kind of imagery, film, TV I have grown up loving- the likes of Ridley Scott, and dystopian anime, like Akira. I first sent KRANE the idea of the song in late 2016, and I was pretty excited - a ragey song in half-time 128bpm was still new to both of us. We spent months sending stems back and forth, him in SF while I was in Singapore. He has an amazing ear for sound design, and did a job of taming all the raw sounds I shot over. For Monarch, I drew from the musical influences of my ancestors, and early Eastern music. I wanted to do justice in shaping a world where traditional Chinese instruments were given a modern revisit - sculpting a world where everything feels familiar, but not quite.